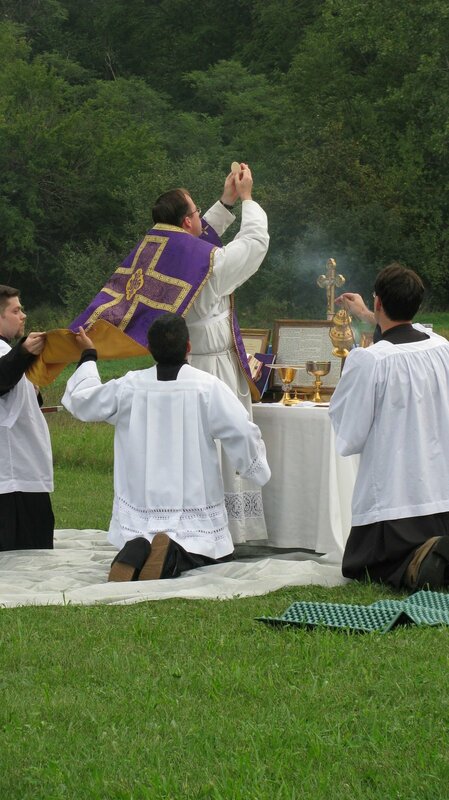 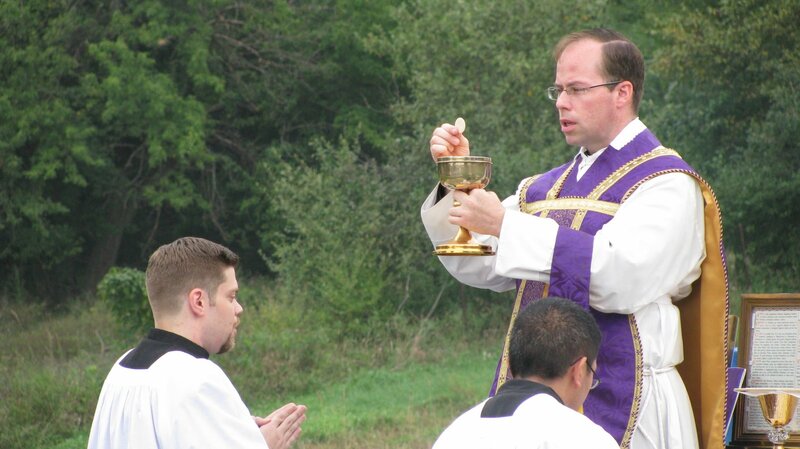 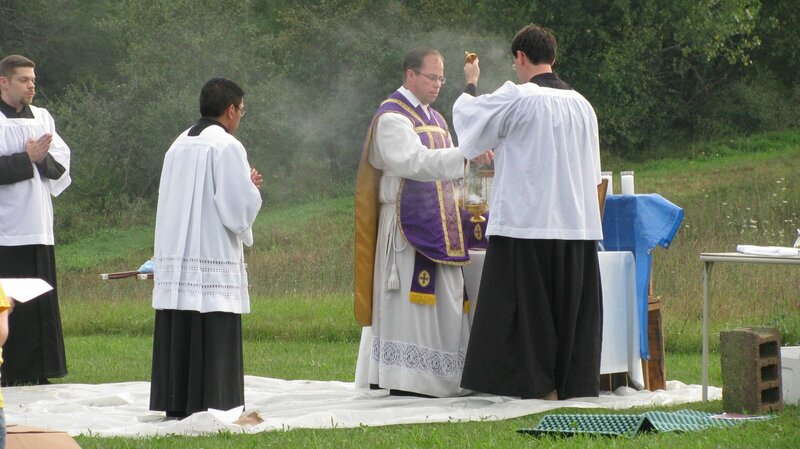 An outdoor Tridentine Mass was celebrated on the Vigil of the Assumption as part of the “Pilgrimage for Christian Culture”. 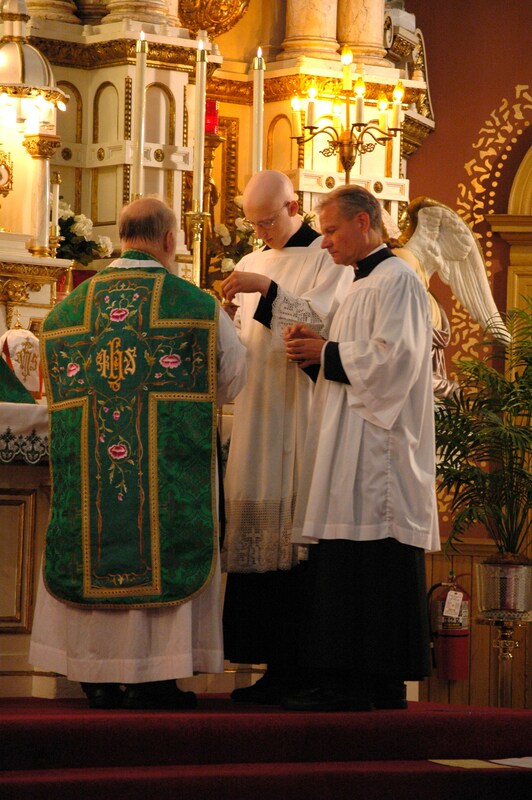 The celebrant for the Mass was Fr. 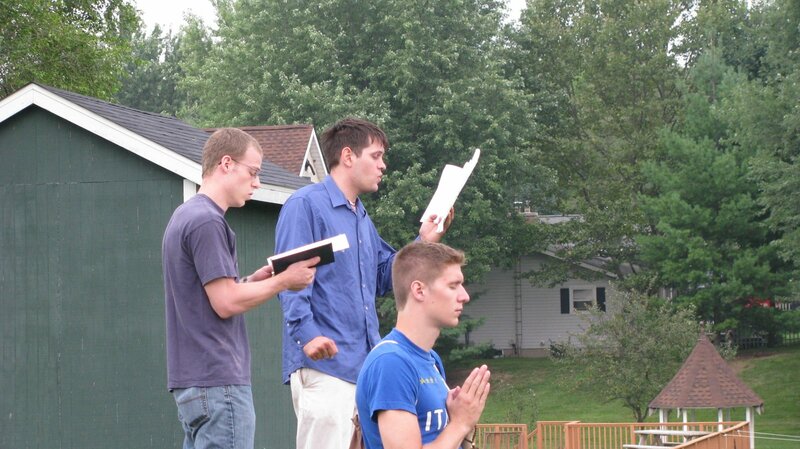 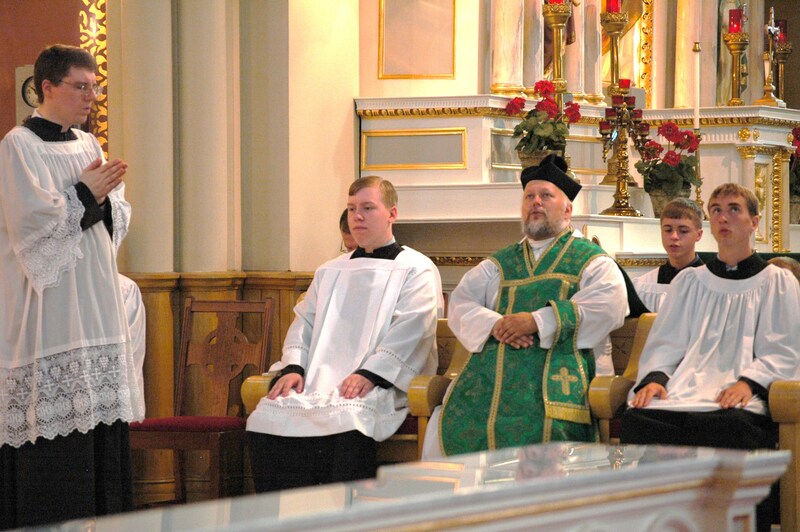 Paul Ward and the altar servers for this event were from St. Josaphat Church. 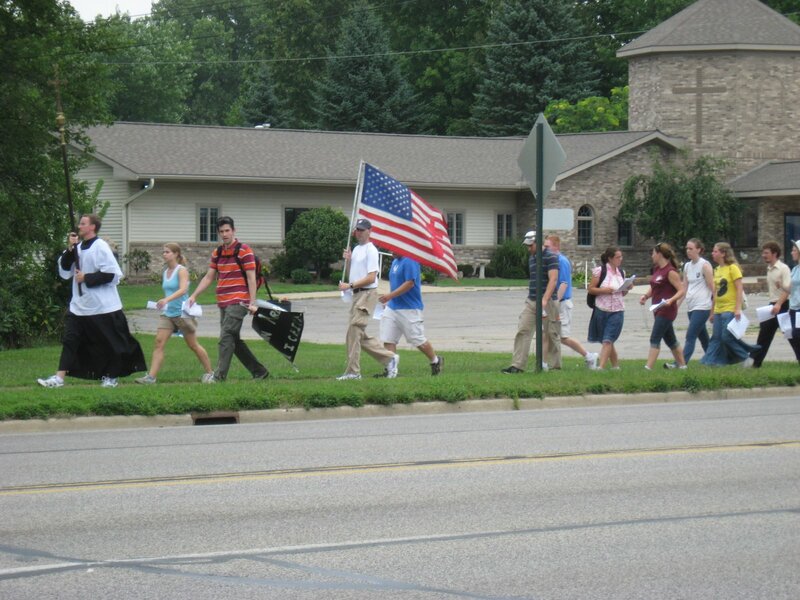 The following photos were sent to us by Paul Schultz. 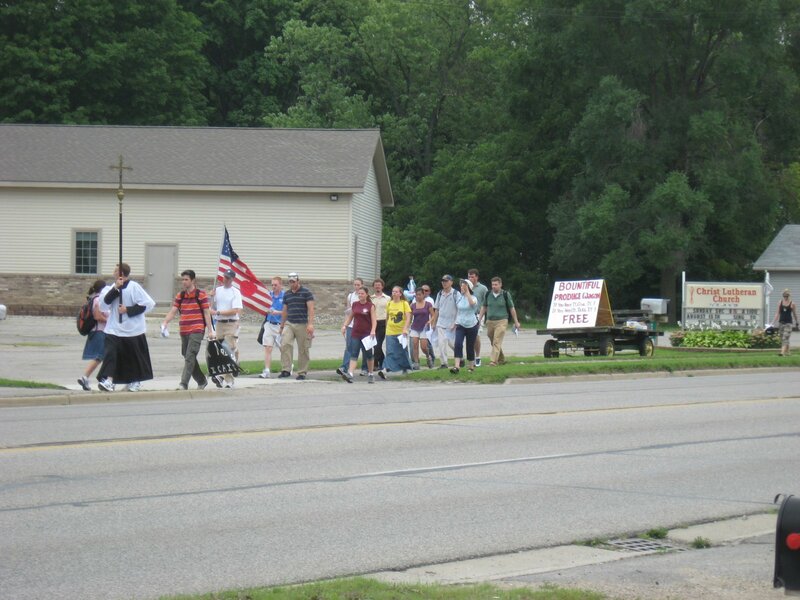 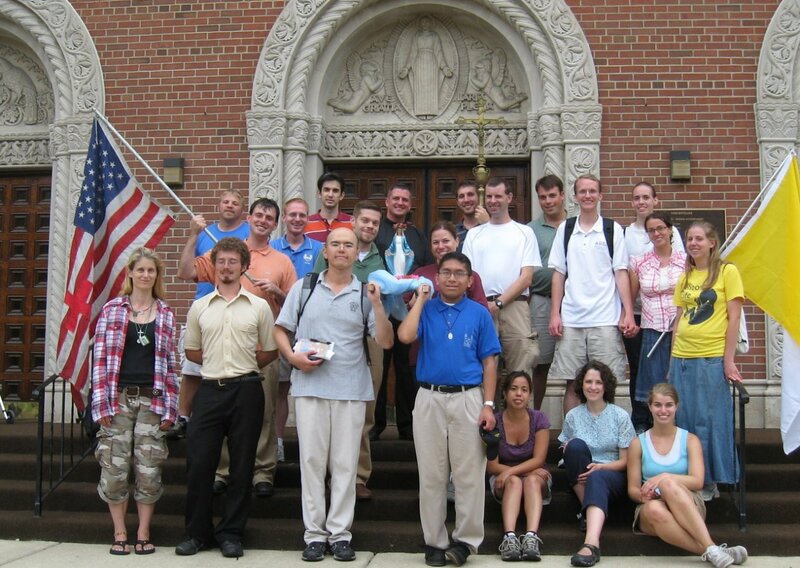 After Mass, the pilgrims continued their pilgrimage to Queen of the Miraculous Medal Church in Jackson, MI. 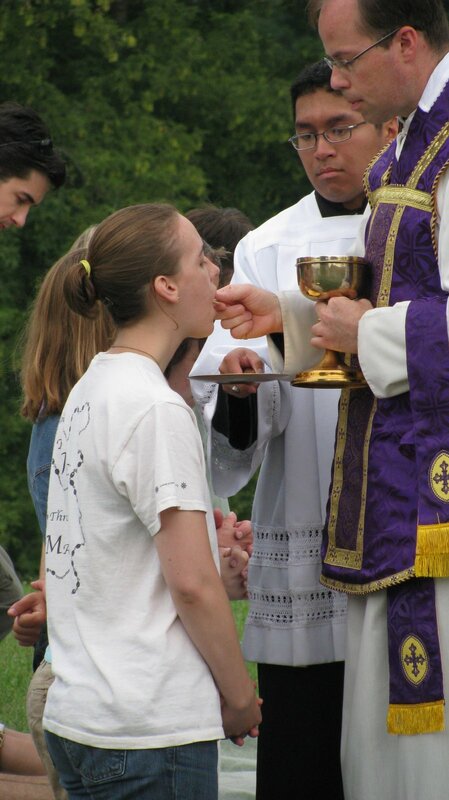 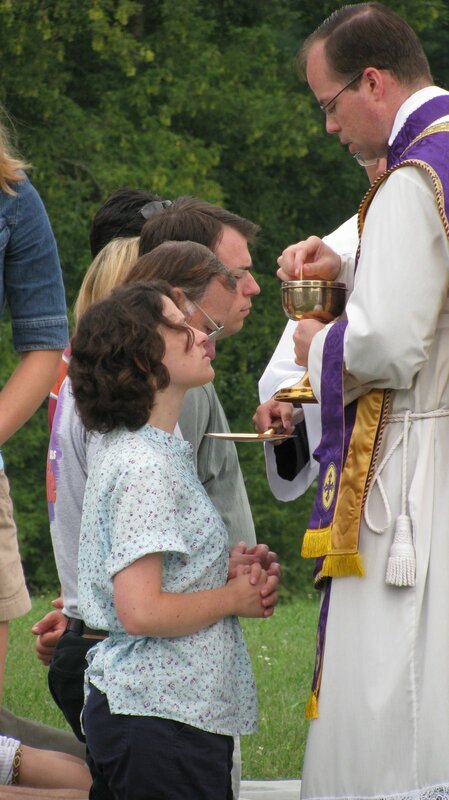 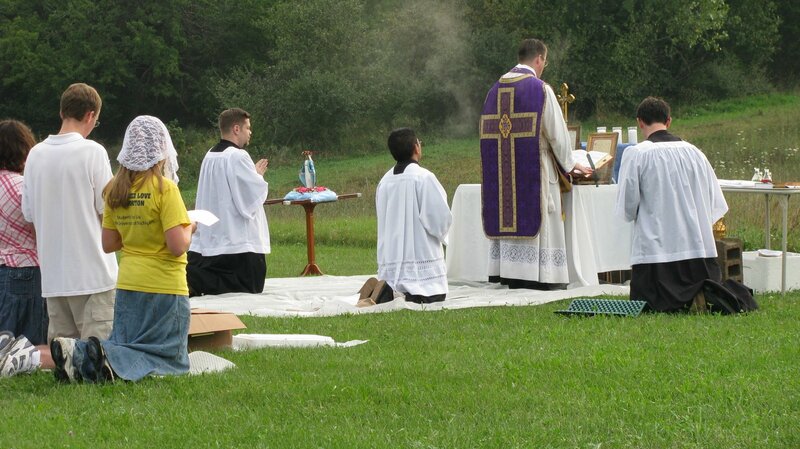 The following photos are from the pilgrimage portion which followed the Mass. 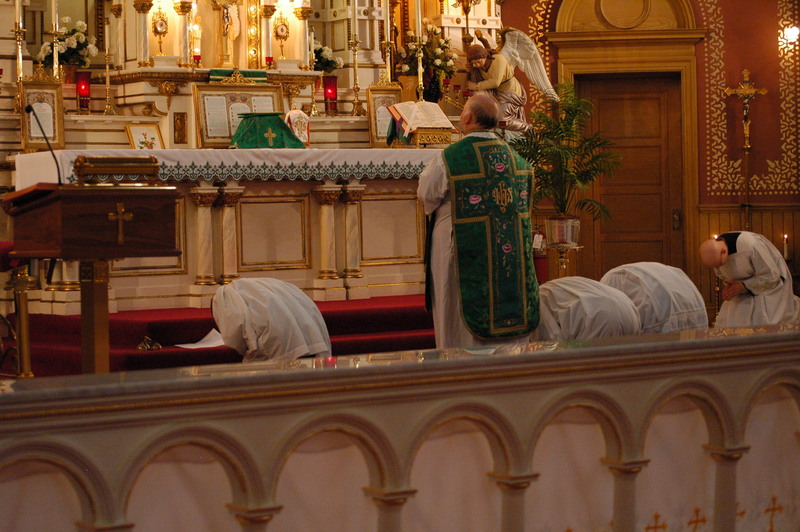 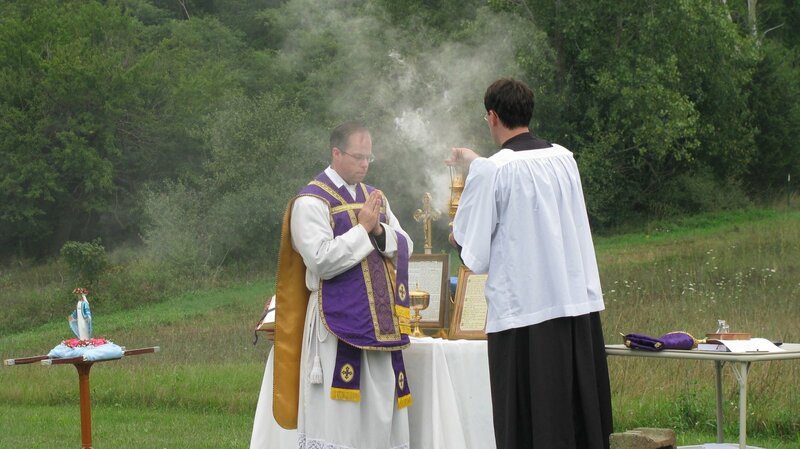 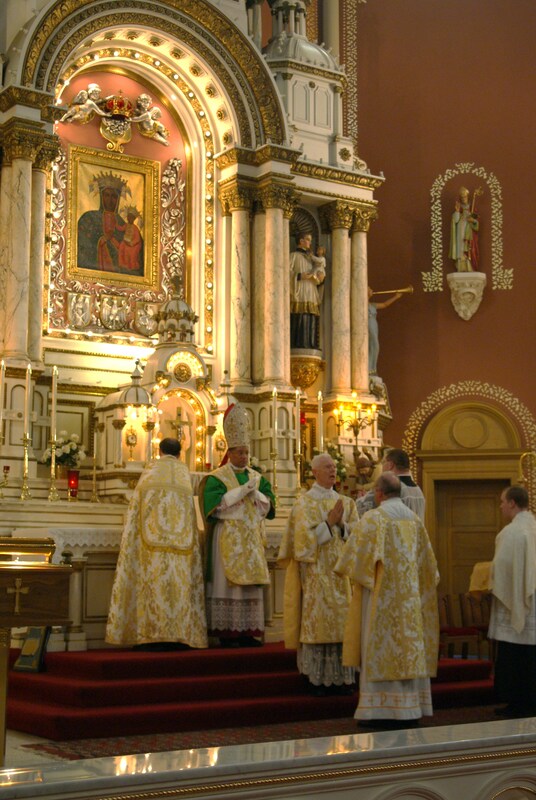 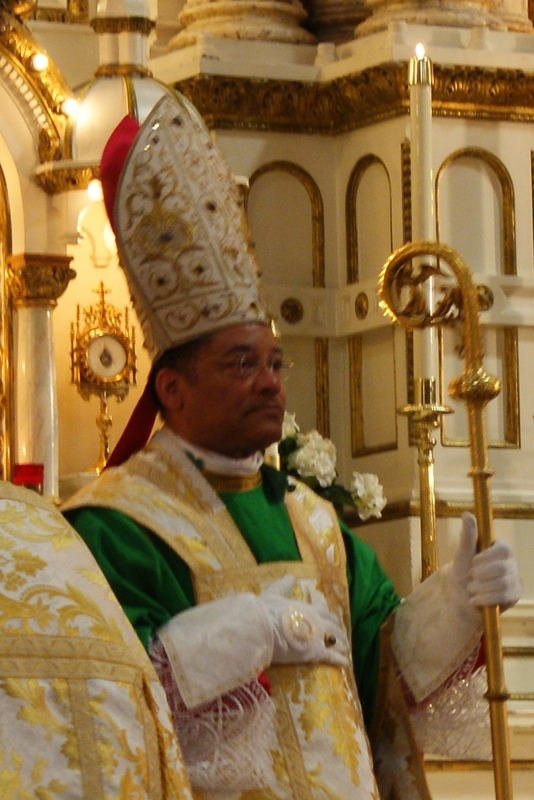 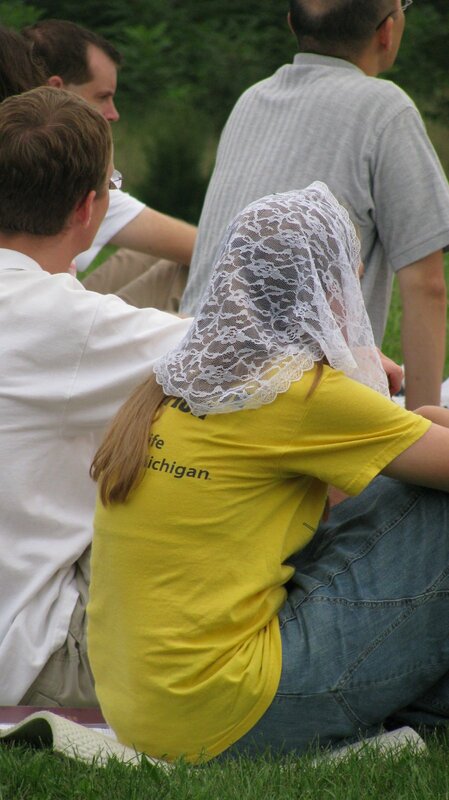 The following photos are from a Mass celebrated at St. Josaphat by our new pastor on July 25, 2010. 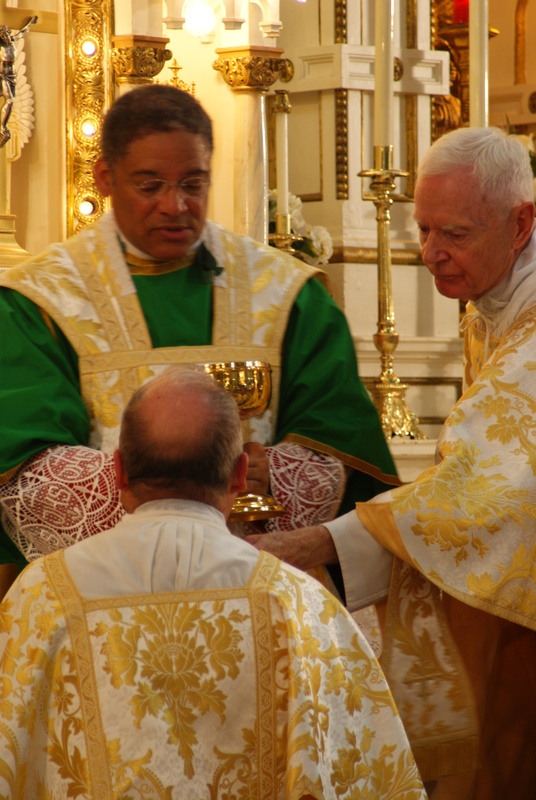 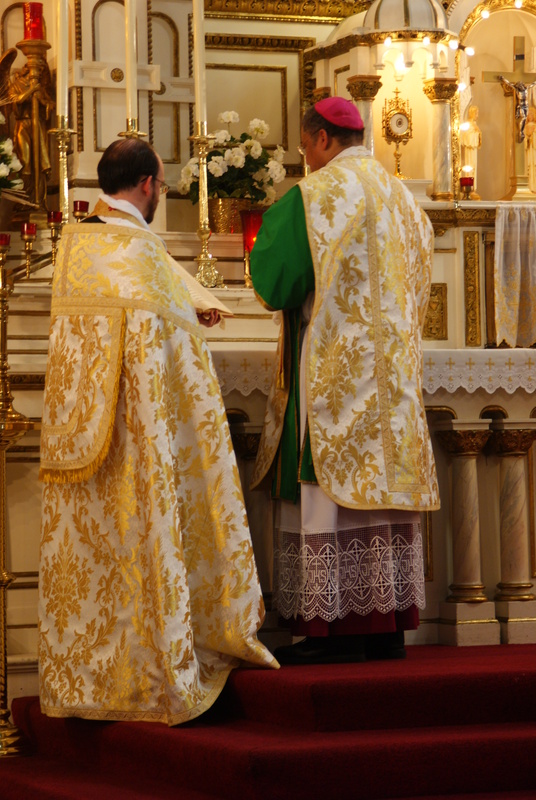 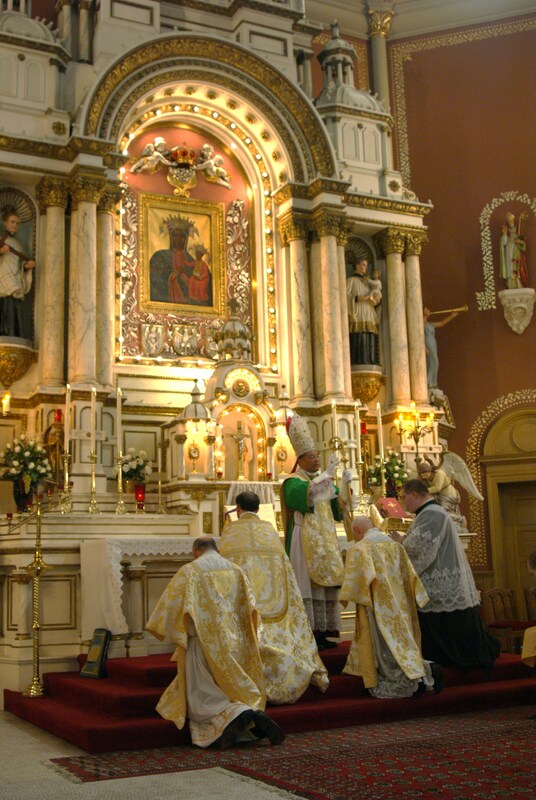 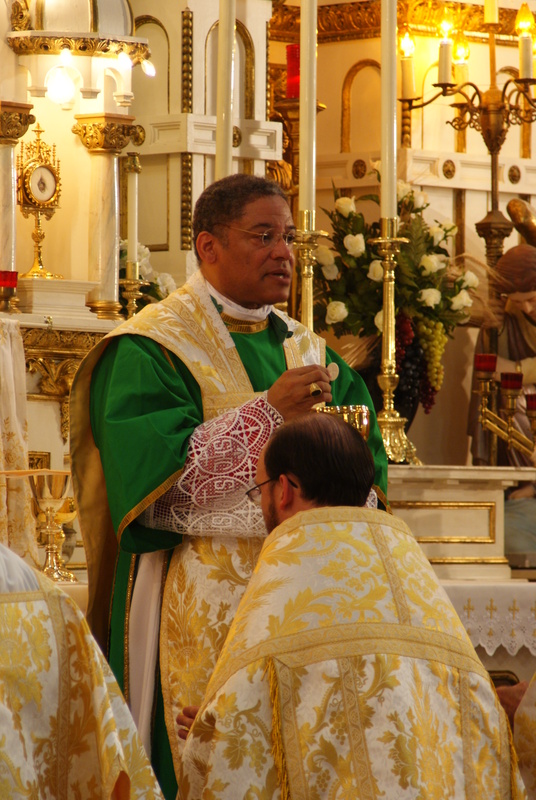 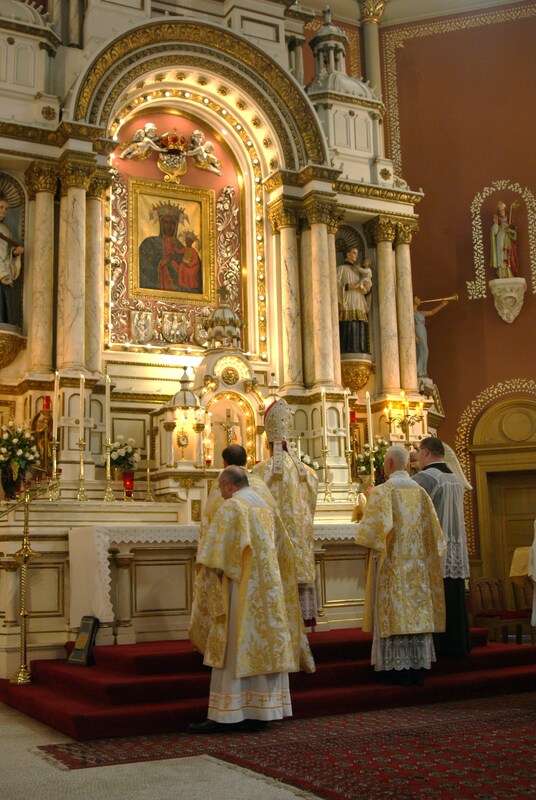 There will be two more photo posts for our special series featuring the Solemn High Pontifical Mass. 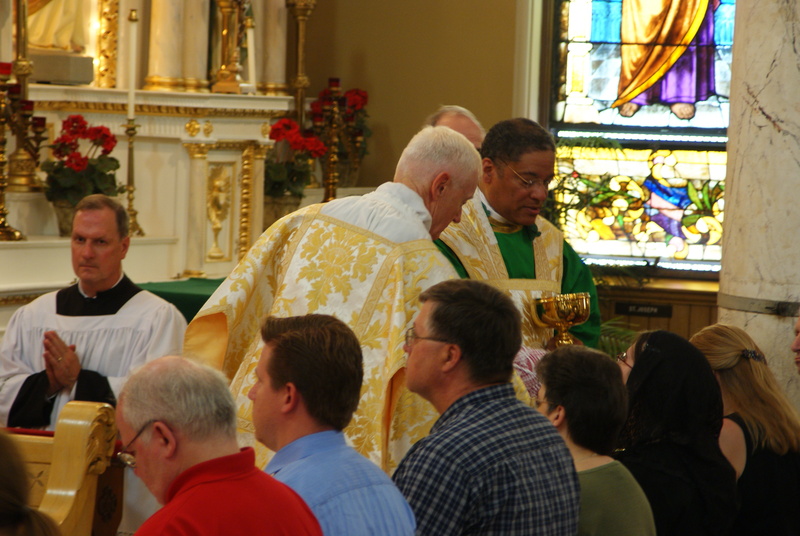 Thanks to everyone for your interest and support of the Latin Liturgy Convention.